Vivianne Tran is a multi-award winning hair stylist and make-up artist. Based in Melbourne, Vivianne travels throughout Australia to work on runway shows, editorial and commercial photo shoots, designer look books, film sets and corporate functions. To date Vivianne’s work has been ..
First studying a Certificate II in Makeup Services and realizing how much of a passion Taylor had for the makeup industry, she went on to study a Diploma of Specialist Makeup Services. She has been actively working within the industry for five years. Specializing in Weddings, Special Occasions and Photographic makeup, Taylor has extensi.. Represented (Sydney) by Georgina Urrutia | Reload Agency BIOGRAPHY Vanessa Collins is a Sydney based makeup artist. She also does nails and basic hairstyling. Trained in Sydney, Vanessa has worked internationally, freelancing and assisting the worlds top makeup artists in London from 2007-2009. 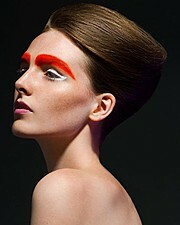 In January ..
Jen Rossiter is a professional Makeup/hair stylist based in Adelaide South Australian. Specializing in weddings, editorial fashion makeup & hair. Her work has been published in My Wedding Magazine, Adelaide Magazine & Annual, Attitude, Woman’s Weekly, Adelaide festival magazine. Jen has over twenty years ex.. Initially training at the QLD School of Beauty Therapy over ten years ago, Erin Bigg™ continues to train and update her skills to remain at the forefront of her profession attending masterclasses and seminars annually. Erin is represented by ARC Creative in Brisbane and is self taught in the art of airbrush..
Morena is a highly-skilled professional make up artist trained the for traditional and airbrush makeup application with up-to-date experience in the fields of beauty, artistic, and special effects make up. Her work experience ranges from fashion shows, glamour and fashion editorials, theatre, body painting, high definition television pr..
Julia is a highly qualified makeup artist and hairstylist with more than thirteen years experience. She specializes in fashion, beauty, celebrity, stage, bridal fields and photo shooting. Throughout her career, she is widely known internationally working in the USA, England, Italy, Germany, Austria, Portugal , Russia and Japan. Freelance Makeup artist in Australia, Melbourne, available for various makeup services, such as fashion, beauty, photographic, film, bridal and more! Have studied makeup and received my Diploma of Specialist makeup services, am available for various makeup work, if you are intereste..